Andrea Harper Wilson has dedicated the past 16 years to cultivate a unique methodology to sales. Her coined style allowed her to work for some of the leading technology companies in the world, but that is not where it all began. Similar to me, Andrea had and still has a passion for music and began her professional journey there. As a freshman at Tennessee State University, Andrea earned a prestigious internship opportunity with Atlantic Records, Urban Division as the college promotional representative, working with artists such as Fat Joe, Brandy, Sunshine Anderson, T.I. and many more. Her success led to positions with Atlantic Christian, Atlantic Country, and lastly CeCe Winans independent label, PureSprings Gospel as the Marketing and Promotions Assistant. Q: How did your background in music happen? A: I took a gap year after high school to pursue a career in Radio where I was interning at WJMZ in Greenville, SC. After a year of working as a promotional assistant and overlooked for a job opening, I decided to go to college in Nashville with hopes of breaking in the Country Music Industry. During my freshman year at TSU, I joined the campus newspaper The Meter, where I met a guy who was interning at Atlantic Urban Music. He connected me with the right people there and I landed an internship as a campus music promoter for all 4 years of college at Tennessee State University. During that internship, I continued to pursue my dreams in the music industry, focused on becoming a top A&R professional. 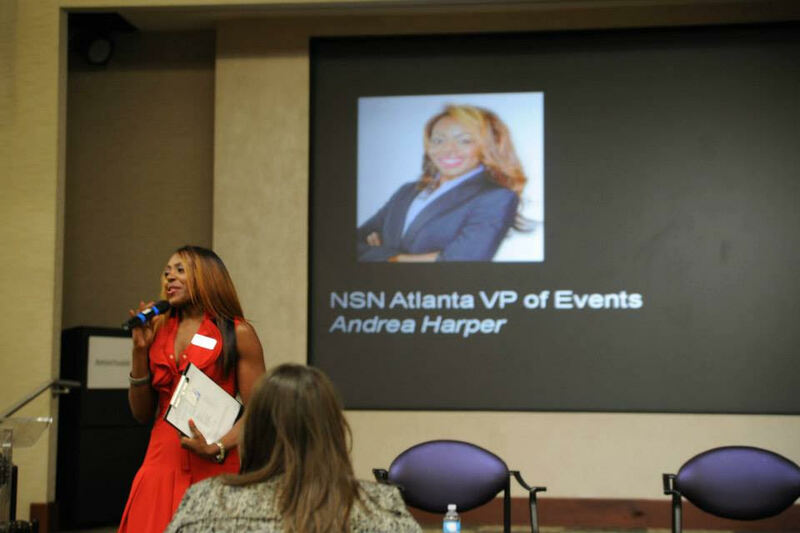 The same struggles women of color endure in the sales industry, Andrea began to experience as she pursued her dream of being an A&R professional in the country music industry. Although she had her 4-year internship and experience at Atlantic Urban Music with some well-known music artists on her resume, Andrea still faced hardships while trying to land more official roles at the record labels. They questioned her knowledge and experience which left her feeling discouraged and unaccomplished. But, Andrea is not a woman that allows anything to get her down for too long. A: Napster and the music streaming industry made it difficult for me to sustain my job at Cece Winan’s label, PureSprings Gospel, and I was eventually laid off. So when I needed to find a job I began looking into sales positions. I landed a position as a receptionist at a Promotional Products firm in Memphis, TN handling phone calls, and administrative work. I knew I was qualified to do more than that so when an Account Coordinator position opened up, I applied for it but was immediately turned down as they told me I was unqualified for it. I knew that I was more than qualified, so outside of work, I began finding my own accounts that I knew would benefit from this product. 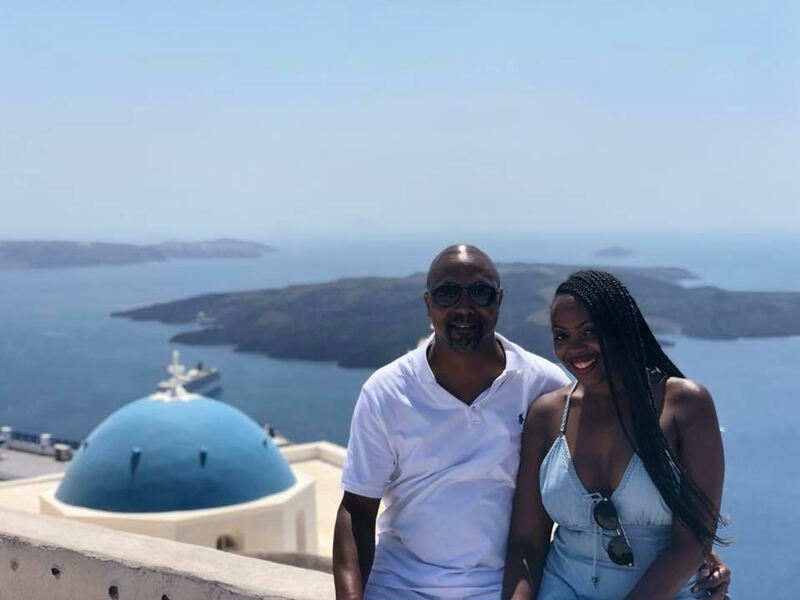 Once I proved that I was a hunter, I was hired as an Account Coordinator and within a 16-month timeframe, I went from being an unqualified receptionist to an Account Manager then to 51% owner of the company’s Atlanta branch. I proved to them that I can find opportunities for the company that they would not have initially found on their own, and the largest account I closed for the company was Hollywood Casino in Hollywood, FL. Talk about impressive! Andrea is a natural saleswoman that is not afraid to go after what she wants, especially if she knows she can surpass whatever the role calls her to do. 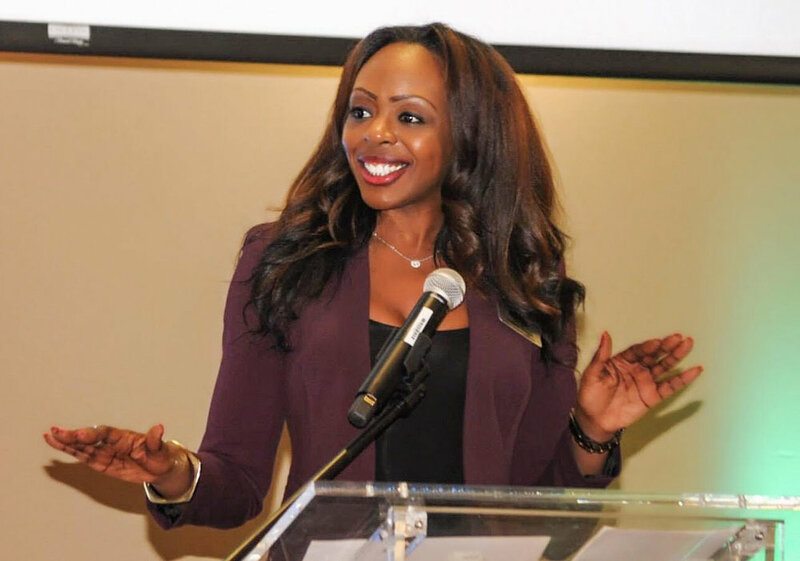 So after leaving the Promotional Products company, she decided to polish her marketing skills at Microsoft as a Relationships Manager and leverage her entrepreneurial skills by opening her own promotional products firm Harper & Harper Creative Group in 2009, selling products to several Atlanta based non-profits and fortune 500 companies. At this point, Andrea has proven that there aren’t many things that she puts her mind to that she doesn’t conquer. Being the woman that she is, continuously seeking new challenges, Andrea then took an interest in pharmaceutical sales which ended up being such a challenge for her to break into, not because she wasn’t qualified but because of the lengths that industry puts women of color through to eventually qualify them out of those roles. Relentlessly, Andrea then discovered the tech sales industry, where she began learning the tech landscape and planted roots selling Middleware and branched out to the Cloud where she sold cloud products with Salesforce and most recently joined Oracle as an Application Sales Manager. A: I love the challenge of having a prospect trust that I can help their wishlist of technology in order to have their business run more efficiently. I love cold calling and the process it takes to prospect a client to ultimately closing a deal all while helping customers understand how they can be more scalable and save on costs. A: The most challenging part of being a woman of color in sales is the lack of familiar faces you see specifically in the tech space. I am usually the only woman and the only woman of color, and in fact, I am the only woman of color on my team at Oracle. Because of this, I often use LinkedIn and sister circles such as SIS to reach and connect with women that look like me to gain mindshare and glean from their understanding of the corporate landscape and how to best maneuver within it as a WOC. A: Just do it. Women, in general, should consider a position in sales and we are needed there. It's up to us to really explain and evangelize the benefits of being in sales. We as mentors and role models should be a safe space for them to understand what sales entails and reassure them if they have the foundation to be successful in sales. They need to be competitive but humble, be a go-getter, have thick skin, have an entrepreneurial spirit, be willing to learn more about the industry of sales they are interested in, the company, and learn the products they sell before applying for any sales company. A: I think a community like SIS is important and necessary because it allows us (WOC) to see other women like us successful in the same industry in so many different ways! It is encouraging and allows us to have hope in our respective sales industries. I have a community of highly successful saleswomen of color that I reach out to that look like me in similar and diverse sales roles, and every few months we gather and have a Mastermind group sharing success stories and challenges we are facing at our places of work. I am a member of Alpha Kappa Alpha Sorority, Inc., a member of the National Black MBA Association, and a former VP of events for the National Sales Network, Atlanta Chapter. I encourage others to join the Affinity and Employee Resource Groups of your choice in order to understand the ecosystem of the companies you work for. When I asked Andrea how she prepares for her successful work days she simply stated, “ I wake up early, work out every day, & I pray and meditate to be mentally, physically, & spiritually prepared for the day.” We should implement those aspects into our days! Andrea received her M.B.A. from Mercer University in 2016, and later made a commitment of giving back by coaching women entrepreneurs on how to sell themselves, services and products. Outside of her successful sales career, Andrea is a former NPC Bikini Competitor and has placed top 3 in several competitions. She spends her spare time attending concerts and traveling the world with her husband. Connect with Andrea on LinkedIn here!